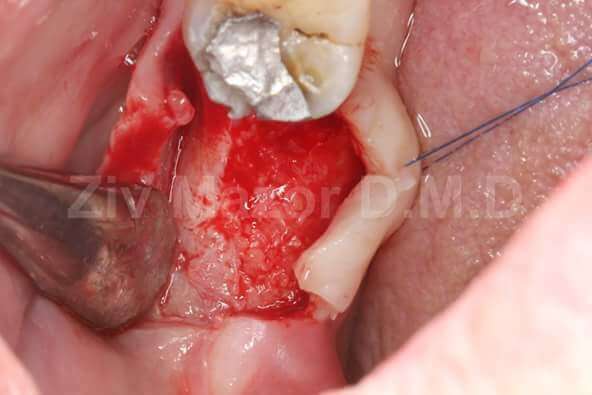 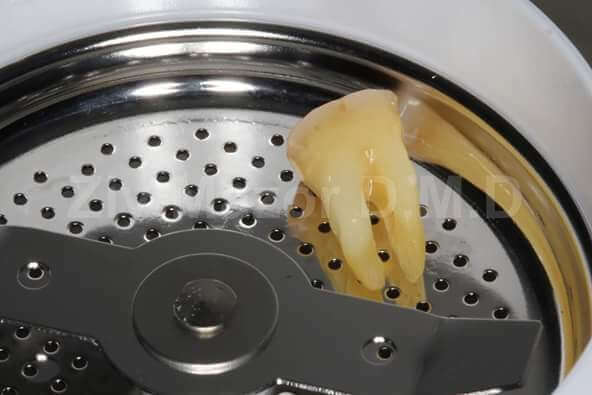 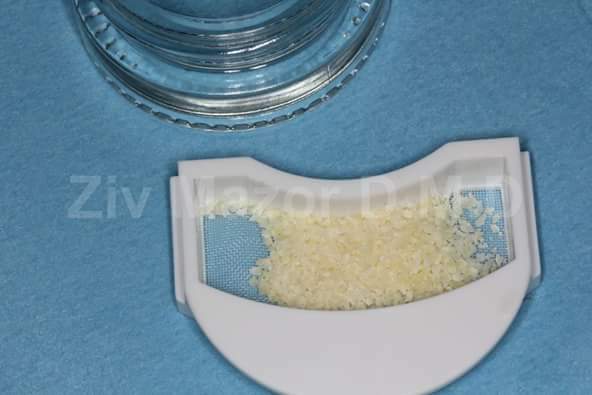 Autogenous dentin grafting preserves the socket using the patient’s own tooth as graft material. 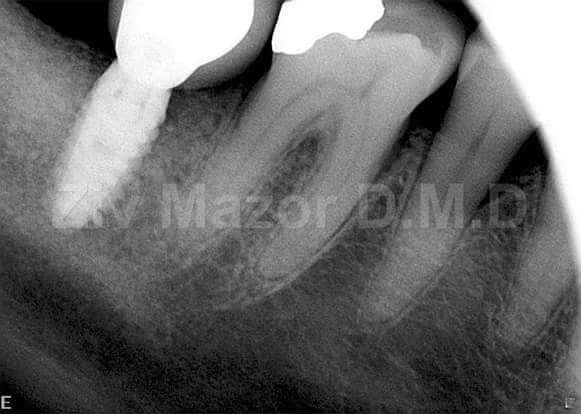 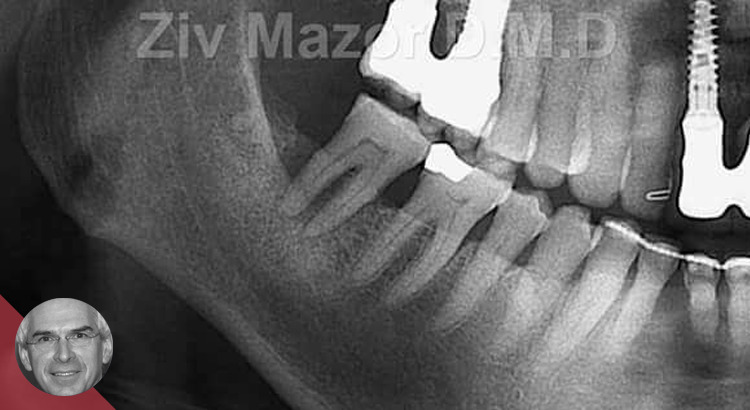 Radiograph of second mandibular molar planned for extraction. 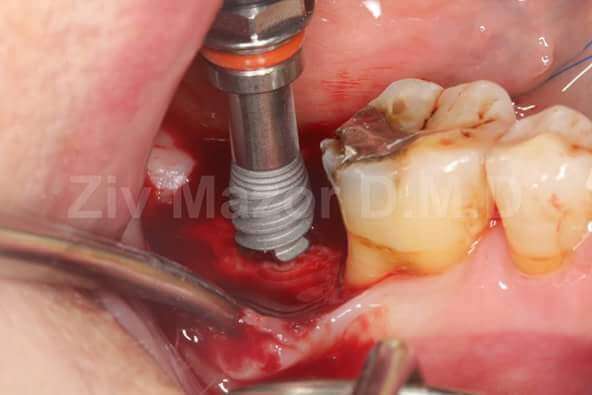 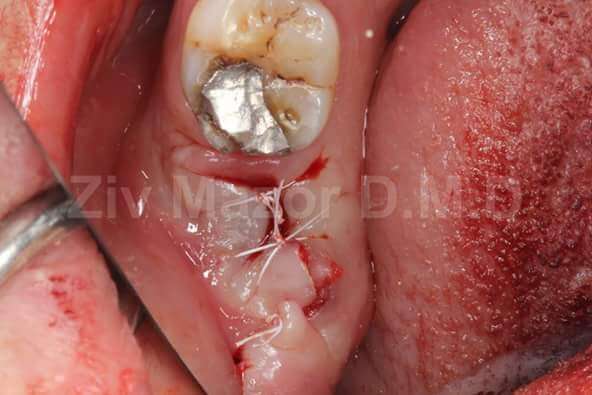 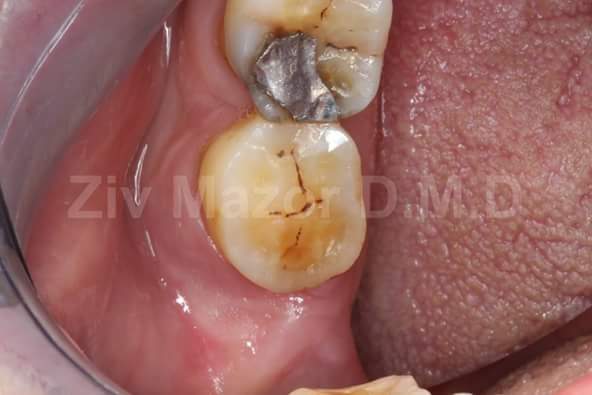 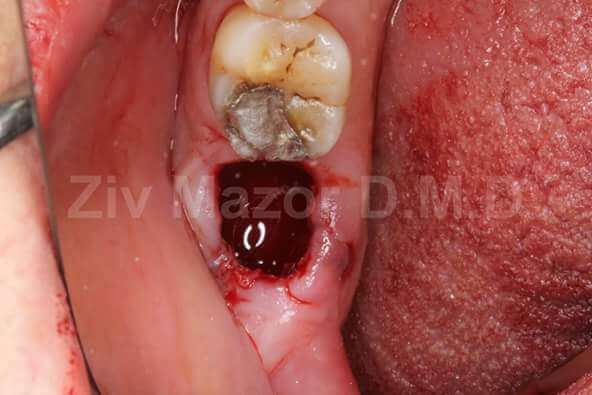 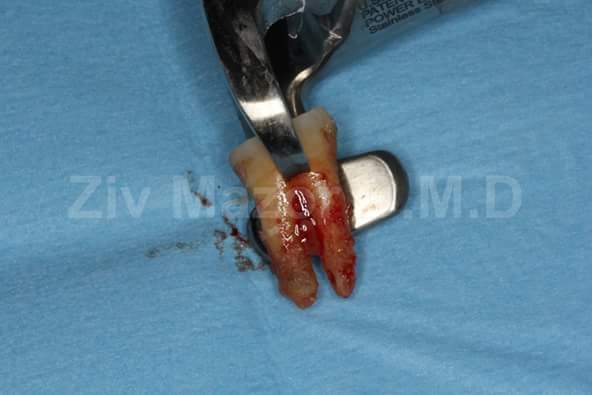 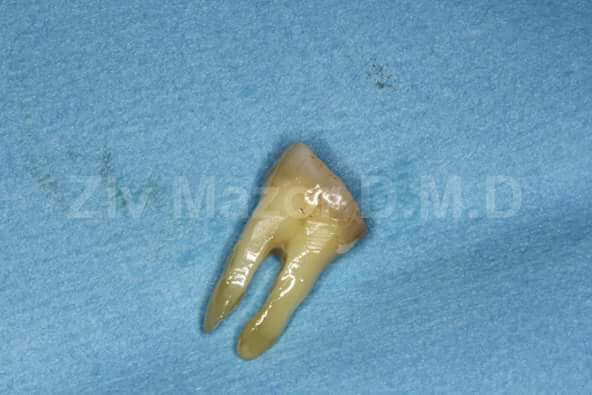 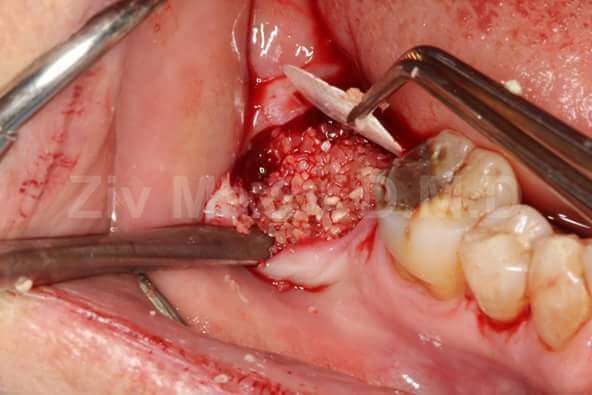 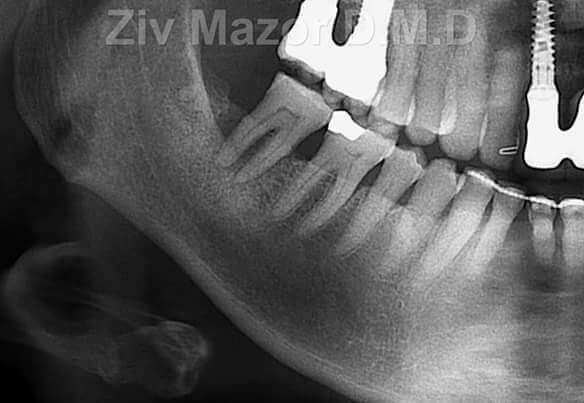 Clinical photo of second mandibular molar planned for extraction.